Since I started getting into skincare one of the products I have enjoyed using most was facial oils and a clear standout for me so far was the Clarins facial oils. The first one I used was the Lotus oil, I would apply it at night and wake the next day with glowing skin. 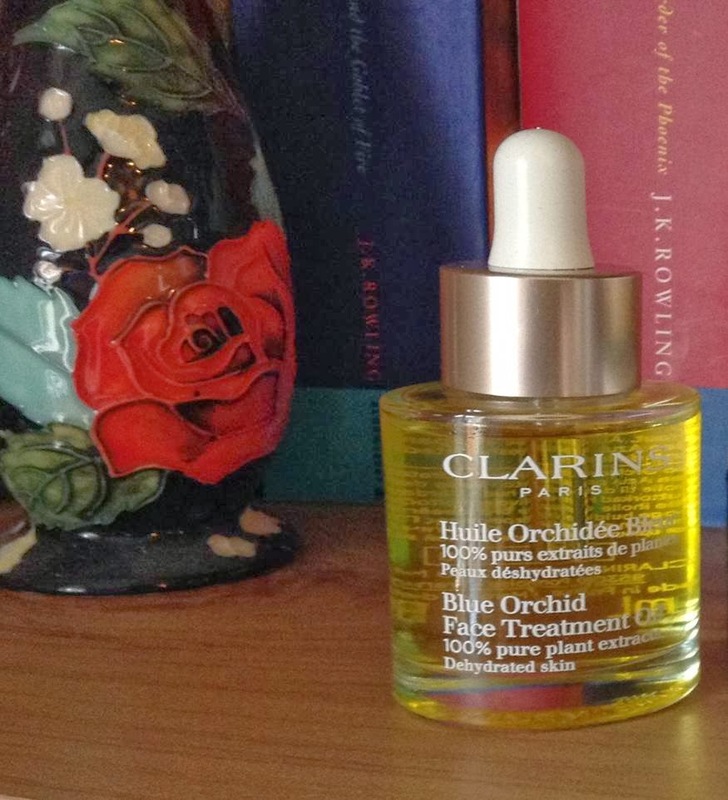 Sadly I finished the lotus oil about a month ago and found myself missing it so i thought I would venture further more into the clarins oil and try the Blue Orchid oil, specially now that my skin felt a bit drier with winter and if course I loved it too. Although I was afraid it might be too heavy for my skin as I'm normal and can get oily around the T-Zone, so I steer clear of heavy/richer products. I don't use it every night but instead every other night as I find its works the best for me. When I was at the Clarins counter buying the Lotus oil the lady said that these oils were 6 months treatments to help solve the skin problem it is targeted at and re-balance the skin but many beauty bloggers have repurchased it and still love it! HELL I might repurchase the lotus oil in the summer because I loved it. I preferred these oils over all the other facial oils (trilogy, Origins, Nuxe and Pai), not that the other oils were bad its just i was able to see more of a result. The Clarins facial oils smell lovely, sink into the skin easily and are made from 100% pure plant extracts (so no nasty stuff!). Its purifies, refine the skin texture and tighten pores. It definitely helped reduce the oiliness of my skin over the summer and helped smooth out my skin texture. Now in relation to pores Im not too sure cause my pores aren't that bad except a bit around my nose so I cant say much on that. Its supposed to help restore radiance and moisture to skin, it definitely delivered on those two counts. Also it helps the scaring of spots heal faster and overall your skin looks happy and will thank you in the morning. So enough with my ranting and overall if you were thinking about purchasing these oil then do! definitely worth the investment.